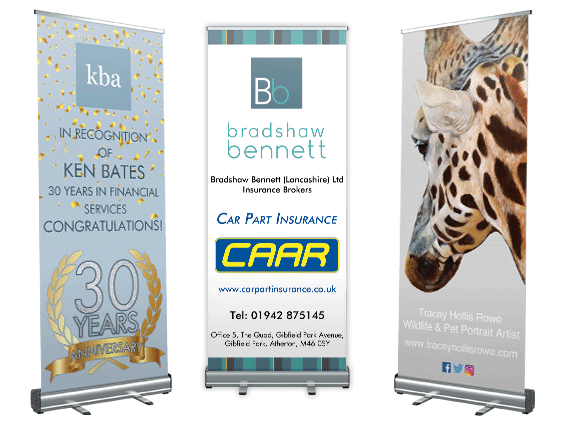 Our Pop Up Banners are printed in full colour on a strong, durable, heavy weight PVC banner material. 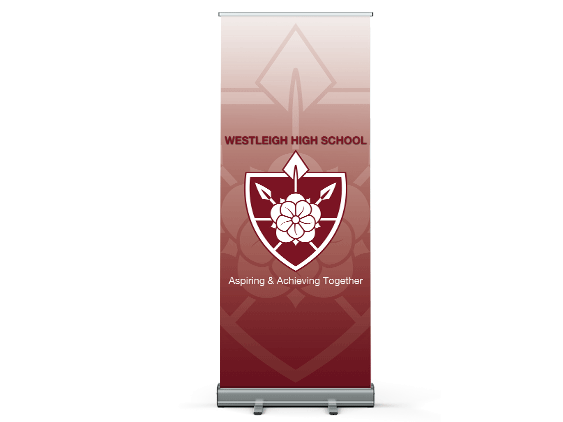 The material also has a greyed-out back to prevent the banner being see through. 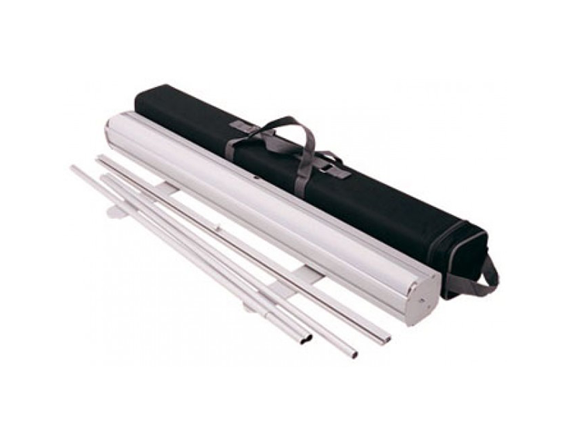 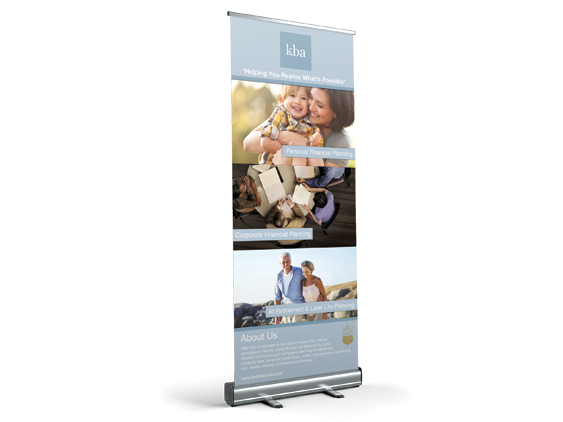 The printed pull up panel is inserted into a stand with two feet and supplied with a free carry bag so you can take it everywhere with ease! 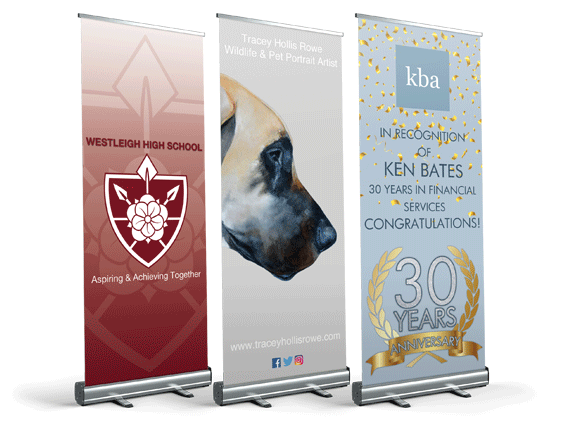 Banners start of with a basic stand but can be upgraded to a higher quality stand if requested.